Familiarity with QuickBooks makes Jay a valuable resource for your business. 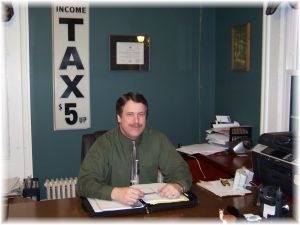 He can help you to install your QuickBooks software and teach you the skills to use it. He can help you use it effectively in order to build your business and make your accounting efficient in order to best meet your auditing and accounting needs…costing you less in time billed by your accountant! He will be there for you when you need him with questions and problems. He is currently undergoing the certification process to become a QuickBooks Proadvisor. He’ll help you learn to go “paperless” sharing information back and forth with him during the year via computer, USB ports etc…This will help you avoid the crunch at “tax time” or during an audit. Jay will support you and your bookkeeping by setting up programs, training you, month and year end clean-up…or just plain old doing it for you throughout the year! Call to find out more about how he can help you.